One of the trickiest parts of teaching for most of us as teachers is classroom management. We know our material backwards and forwards, we have charts and worksheets prepared, but none of that makes a difference when we struggle to keep our class under control. After several years of teaching and trying many different methods, I have finally settled on one that works for both the kids and me! 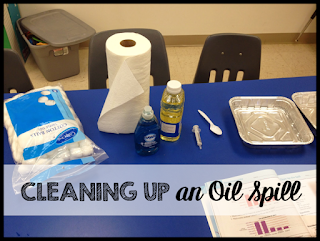 So I thought today I would share my method of classroom management with you. This is my reward area. (It's just a pocket chart by my white board.) 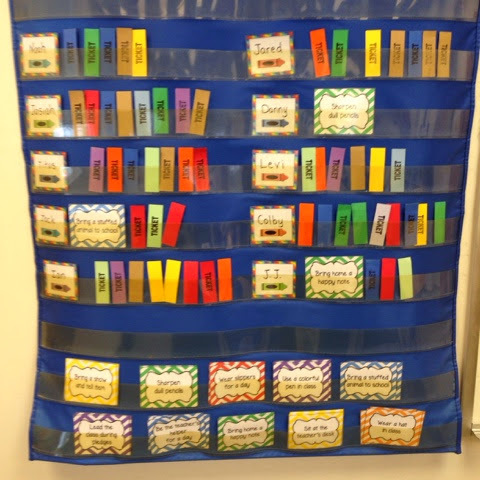 Each child has a name tag in the chart which they keep their rewards next to. 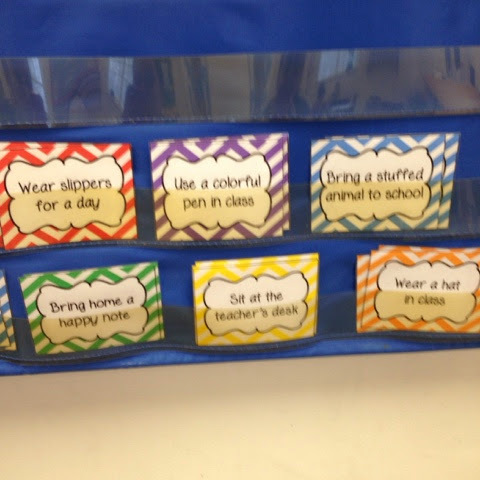 By putting rewards in the pocket chart, it keeps them easily visible - for both the student and me. 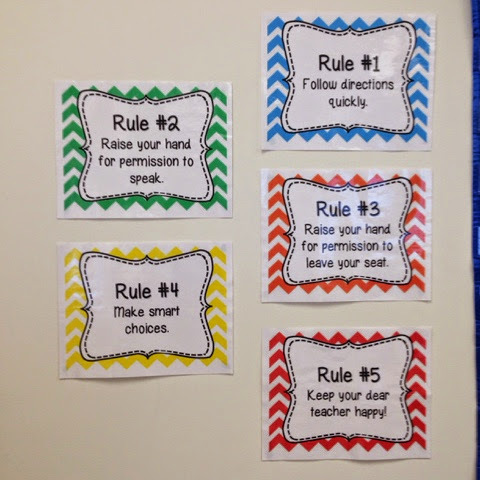 You can get a copy of the rules from The Neat and Tidy Classroom on TpT. 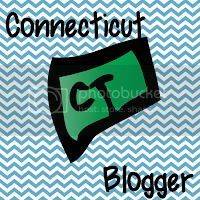 So you may be wondering at this point, how do students earn rewards? 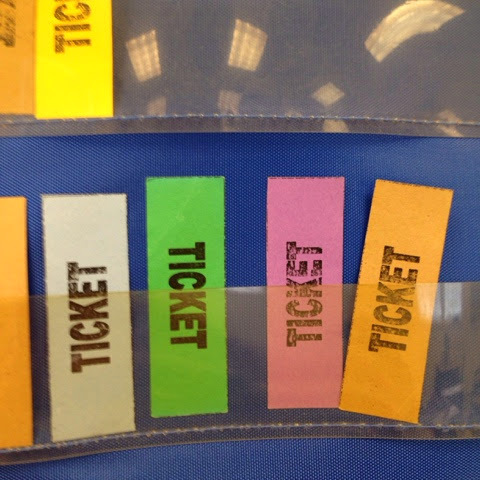 Students can earn tickets for good behavior throughout the day. 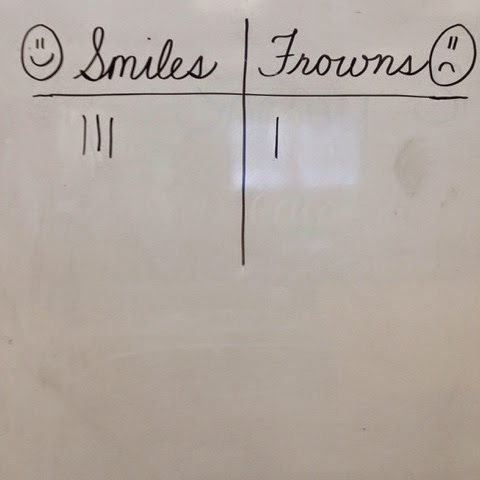 I mainly give tickets based on another whole brain teaching idea - the smile/frown chart. So then, what are the tickets used for you might ask? 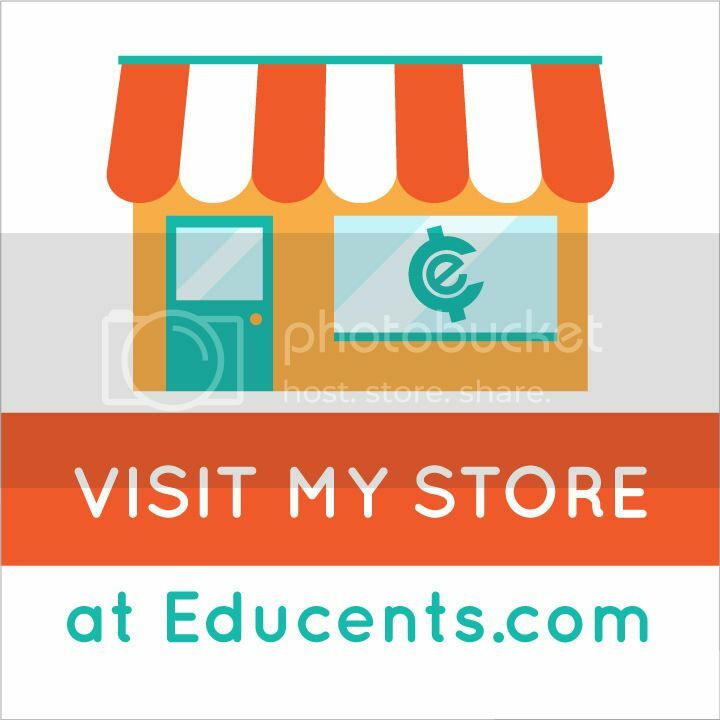 You can get the reward coupons from my TpT store in either bright chevron or bright polka-dots. 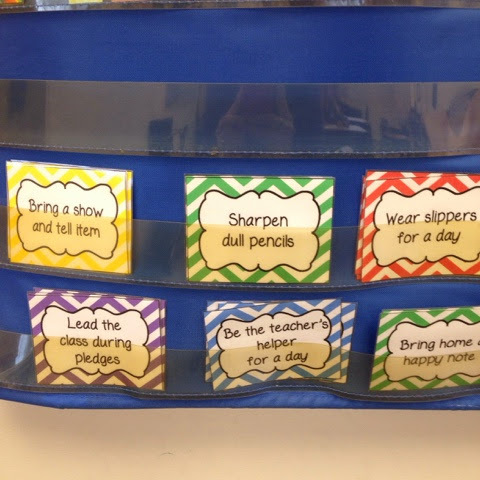 I keep the reward coupons on display in the bottom of the reward chart so the students have a visible reminder of what they are working towards. I think so far the favorite choices have been bring a stuffed animal to class and bring a show and tell item. I just added wear slippers for a day though, so... I know that would be my favorite! How do you handle rewards and punishment in your classroom?